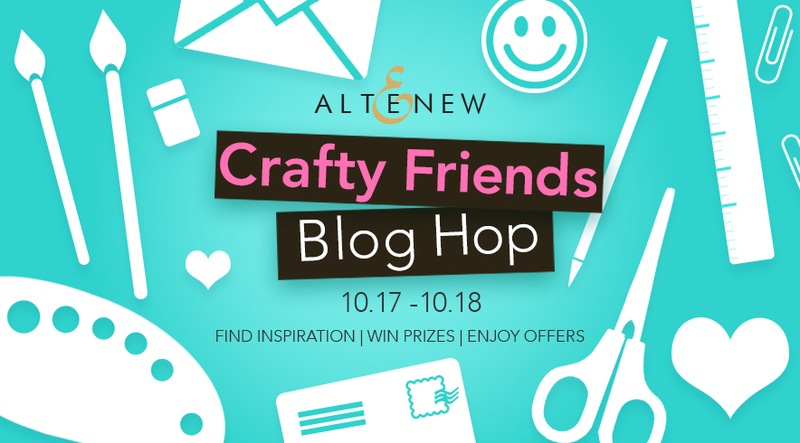 Hello everyone and welcome to the Altenew Crafty Friends Blog Hop! If you came here from Terhi Koskinen’s blog, then you are on the right track. 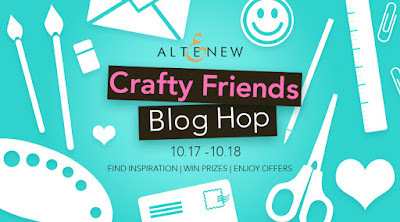 Otherwise, go back to Altenew Scrapbook Blog and start from there, as you won't want to miss anything! Crafting is one of my favourite hobbies and I feel very lucky to be a part of such a supportive and amazing community! It’s always so inspiring and motivating and I’m very grateful for all the opportunities and experiences that this community has provided me. I hope someday I will be able to meet and hug some of my online friends in person! So back to the blog hop, to celebrate our unique community there are special offers and prizes up for grabs! For today’s hop, I created a clean and simple card using a beautiful Crafty Friends stamp set, perfect for creating cards for all the crafty friends in our live! To thank you for your visits, support and always thoughtful comments I would love to mail this card to someone chosen from the comments, just let me know if you would like to receive it! That’s it for me, your next stop on the hop is My Sweet Petunia. Such a simple and pretty design! So beautiful! I would absolutely love to win this fantastic card! Love this...so pretty and delicate! Such a beautiful card. Love the saying, I find card making so fun and relaxing. Love your card... it's fun and simple but beautiful too. This is such a cute and simple card. Very cute. Keep on making cards! So delicate and pretty, love it! Sweet card for some lucky person. I started today sad but this has lifted my spirits. I love how clean and simple the card is and the saying was just what I needed. Thanks for changing my outlook and the day and blessing me with your creative spirit! 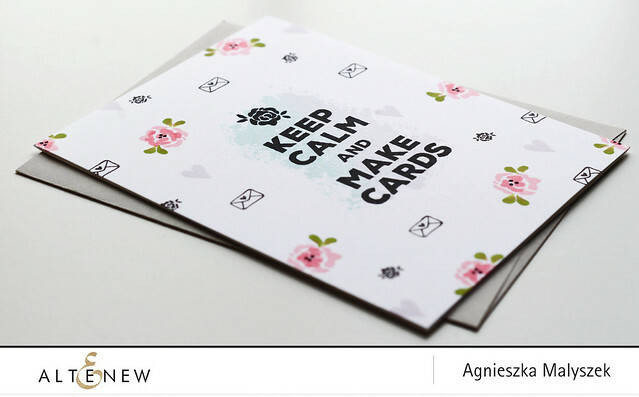 That is what I try to do....Keep Calm...and Make Cards....it is my time to relax when I am at my craft desk. Love it...the way the sentiment was such a focal point on your card with that soft background. Thank you so much for sharing. What a lovely card! 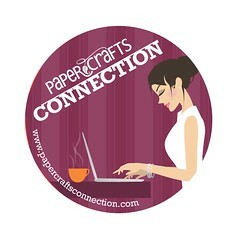 I love this crafting community and the fact that it can bring people together from all over the world. I have "met" some wonderful friends in places like Florida (USA) and even New Zealand! Such a great CAS card!! Love your style! Thanks for sharing. what a sweet card, Aga - love that sentiment!! great CAS card, very pretty! Love those delicate tiny roses. Such a fresh card. Such a pretty card and a great sentiment for this blog hop! I would love to get that cute card! Beautiful card! What a fun stamp set. I think this is sooooo cute & feminine, too. I would love to 'win' this beauty! I love collecting cards from designers I admire. Lovely and simple card I love it! Sweet card. Love the sentiment. Thanks for sharing..
beautifully done and great sentiment! I really love how you took the smaller images and made them into an all over pattern. I would love, love, love to have this card arrive in my mailbox! Love love LOVE this card! Such a cute background! This is such a sweet card! I love the background you created! Simply beautiful!! I adore everything about it!! Great stamp and like the little envelops. your stamping is so perfect. That looks like patterned paper! What a pretty pattern you created. CAS and so sweet! Another fab design Aga! I would love to receive it to frame it and keep it on my desk! Thanks for all you share! Such a darling card!!! Love how you created this pattern! Adorable and sweet all in one! I would LOVE to receive this card! It is so fun and crisp. I love seeing cards like this that are used from fun stamps sets you can even use planner stamp sets for repeated patterns. So fun! What a sweet card Aga. The "background" is so pretty, beautifully done. Loving this simply spectacular card! TFS! Such a pretty card. Lovely. Oh so pretty pretty OLC! I would LOVE to receive this beautiful happy mail! thank you for sharing your incredible talents, so much inspiration! This is a really sweet card! Such a sweet pretty card with the perfect crafty friend message. Love it! 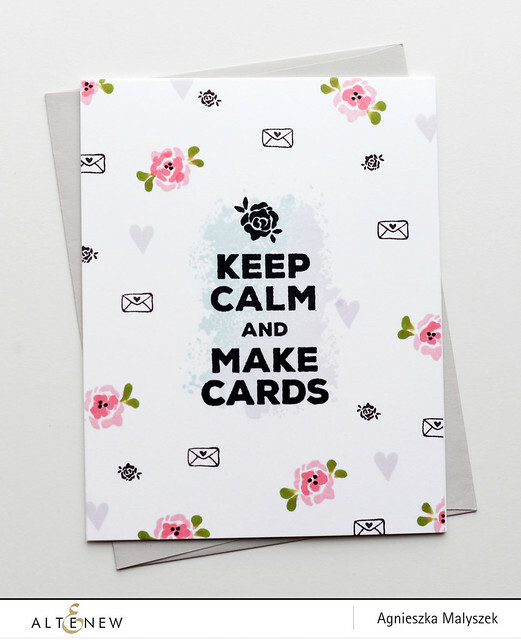 Love your cute Keep Calm card very colorful. Thank you for sharing. Pretty card. Love the sentiment. Love that sentiment!! And it matches so perfect with the pretty background!! I love all of that delicate stamping on the background! Thanks for the inspiration. I love your card and how you used the sentiment. Just beautiful. This is cute. Reminds me of the wallpaper at my grandmas! I would love to receive your card, I am a big fan of your beautiful CAS style! Beautiful card! Love the soft colors! Very pretty card, and love the sentiment! Great. That's what I do, just make cards!! I love this community of supportive friends and love your pretty card as well! Awww I love this card! I just bought this set, and planning to use it often to my crafty online friends. Thanks for the inspiration! That mini rose.. has my heart! Somehow that sentiment makes me laugh each time I see it. Love it with your soft background and the just-right little envelopes. I would love this Card! Might have to frame it for my craft room! Loving this crafty friendship celebration! I love that background - reminds me of the sweet tiny dress my daughter wore as an infant. So pretty! Got to copy the idea for the background on a page for her baby picture. A great way to use the little stamps. I just commented on the wrong post! I love the sweet little flowers on this card, and had totally missed them when I saw the stamp set. Of course I would love to receive a card from you! Another crafty friend I haven't met...yet! Thank you so much. Love the background and combination of images/colors! Love the simplicity of this card. It’s very pretty. I love the sentiment, and the background is a perfect match! Very inspiring. Love those little roses! Very sweet, Aga! I love how you incorporated the smaller images. I would love to receive this card. I love the soft colors and the sentiment! Great way to use those smaller images. That can be a struggle for me, so thanks for the idea and reminder to use them! Love the simplicity of this sweet card! A great one for mailing also. Love your charming design! The small images with the bold sentiment look amazing! Great card for crafters. This is what I would call "Happy Mail"! 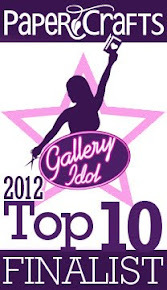 Who wouldn't want to win your gorgeous card? I love the simplicity of the design with sweet flowers and subtle color behind the great sentiment. Your card is so soft and sweet. Such a pretty CAS card! Adorable card!!! Great gift Idea for my crafty friends! Sweet card! Makes me smile just looking at it! Very pretty cards! Love the use of the small images. Such a sweet card - looks very vintage! I would be thrilled to get your card. that went into their production. Love this card its amazing!!! Very sweet card. Gives me inspiration to attempt making my own stamped background. Thankyou for sharing. This is a beautiful and sweet card ! I think its the first one in the blog hop with that great sentiment. I would love to find it in my mailbox. Getting real paper-cards, especially a handmade card, is always a pleasure and feels like a present. This card is so cute and pretty! I adore your design. Very sweet card<\. I would love to receive it! Oh, my goodness!!! I LOVE it!! That sentiment is just too awesome and the background you made with all the little images is adorable! I do love your CAS style! Very cute and simple card. I love the simplicity of your card and the darling background. Thanks for sharing. Very cute card with a fresh, clean design! Thanks for sharing. Sweet card! Love those pretty flowers! Love this CAS card! It is pretty and elegant! Thanks for sharing. Beautiful card! Love the simple and pretty background with the mini envelope. So cute! Great idea to use little stamps for making a background, upercute card! OH MY that's what happens if you try to do three things at once. Wrong word upercute must be Supercute! Gorgeous! This would look great in a craft room and make a sweet coffee mug design! Um, yes. An Aga original? Any day ;) So soft and gentle, this lovely creation. Beautiful CAS card..It is so cute and i would love to receive it!!! Beautiful card. I love how simple it is, and yet it still looks like such a nice card. Love this sweet and pretty card. I would be more than happy to receive it. I really like the way you have used the smaller stamps which often get overlooked. That blue and gold is gorgeous!!!! What a pretty card. Creative idea for small stamps. Love the sentiment and colors! What a wonderful CAS! Love the pretty little pink accents and the gorgeous sentiment! This is beautiful! I love the colours and the CAS style! Fabulous card! Beautiful colours and such a great quote! Such a sweet and clean design.